Three-year-old Ariana Smith from Winterport, Maine watched a video from Extra Life, a charity that raises money for Children’s Miracle Network Hospitals through video gaming, that featured a girl who didn’t have any hair. The curious kid then decided to ask her parents about what she saw, Josh Smith, Ariana’s father, told the Huffington Post in an e-mail. 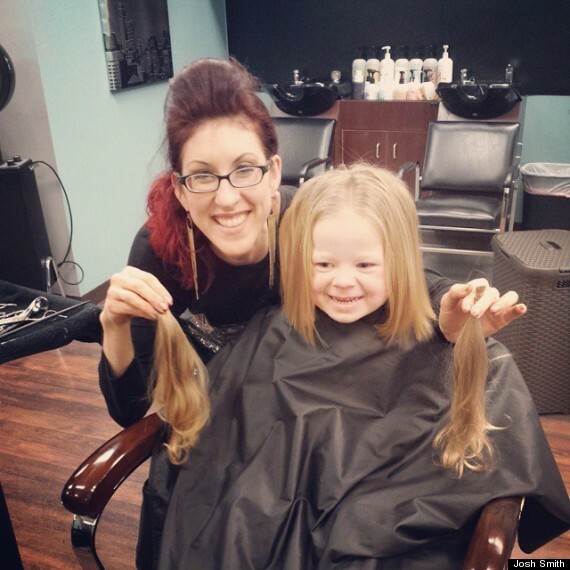 “She asked why the little girl had no hair. We explained that she was sick and that the medicine they were using made her hair fall out,” Smith said. 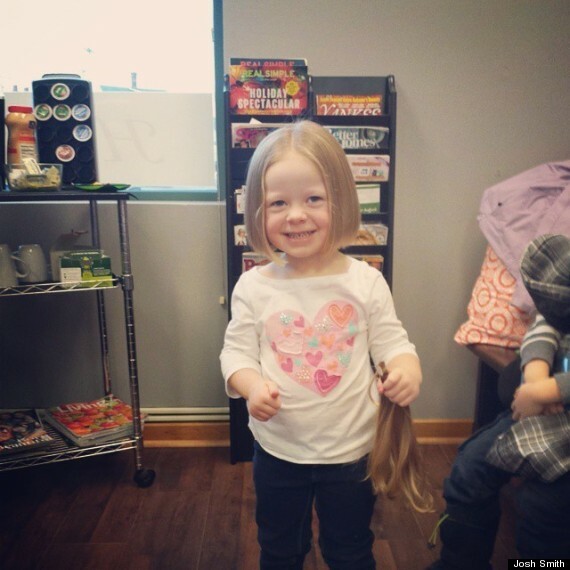 So, the toddler received her first cut, and with the help of her parents, donated her hair to Locks Of Love. The pictures from the milestone, which were posted on Imgur, have since gone viral with over 500,000 views — an ode to the 3-year-old’s generosity. 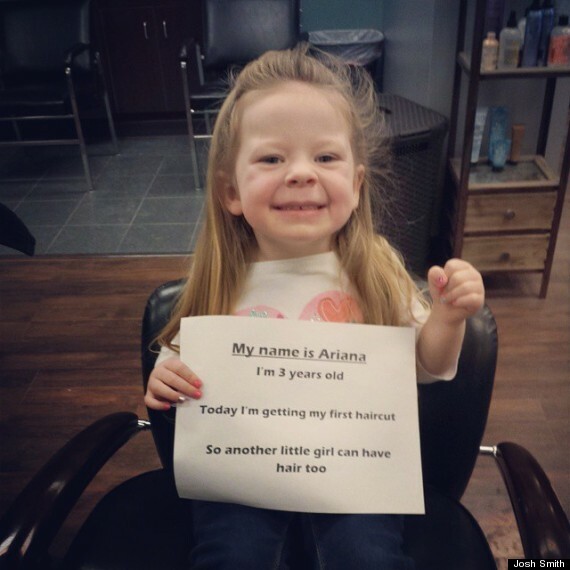 While Ariana’s act of kindness is a noble one, her father says that he wasn’t surprised when she expressed her desire to donate her hair. He told HuffPost that she loves helping others — even when she’s playing. As for Ariana’s new hairstyle, the toddler seems to be adjusting quite nicely to her fashion statement. Please spread examples of kindness using the sharing buttons below. Next Post: On the Fifteenth Day of December . . .
What an incredible sweet child. I hope she never loses that beautiful smile and that generous soul. Hope Santa spoils you little one. Reblogged it as well! What an angel! Wish her happy and lovely to this world. Reblogged this on They Say it's in the Genes.